At a meeting scheduled for 22 November, shareholders of AS Olainfarm plan to make it compulsory for the company’s management board to receive approval from the company council on a number of matters, according to information submitted to Nasdaq Riga on the planned changes to the company’s statutes. Among other things, it is planned to make it compulsory for Olainfarm management board to receive approval from the company’s council on matters such as acquisition of stock in other companies, its increase or reduction, foundation of subsidiaries, as well as acquisition or disposal of company assets. It is planned that the management board of Olainfarm will have to wait for approval from the council on matters revolving around purchase and/or sale of major assets whose total amount is equal to or exceeds EUR 200,000. It is also expected the company’s board will require approval from the council in relation to foundation or closure of commercial associations, branch offices and representation offices, as well as purchase and/or sale of real estate objects if the total price of the deal is equal to or exceeds EUR 100,000. It is planned to limit decision-making freedom of Olainfarm management board in cases when decisions are made in regards to issue of guarantees. This does not apply to guarantees necessary to be issued to ensure the continued operation of the company and other commercial formations part of the concern. Approval from Olainfarm council will be necessary in case when the management board decides on deals between Olainfarm and its associates if deals like that are not deals usually performed by the company as part of its commercial activity or do not fit market conditions. The management board of medicine production company will need approval from the council in matters regarding hiring of law firms, broker associations, consultants, investment consultants and auditors, reception of loans, signing of credit lines, as well as matters regarding merge with other associations or discussions of reorganizational matters. Without consent from Olainfarm council, the management board will not be able to decide on approval of the company’s business strategy, changes to the annual budget plan, formation of reserves and their use, as well as signing of transactions whose term exceeds two years and total amount with a single partner exceeds EUR 1 million in a single calendar year. Olainfarm management board will also require the council’s approval on acquisition and/or disposal of trademarks, patents, licenses, technologies and other intellectual property, as well as development of the main functions of the company’s organizational structures and remuneration system for employees. Changes to statues are also meant to establish that the management board of Olainfarm is to consist of five members elected by the council. Each management board member will have the right to represent Olainfarm only together with two other management board members. As previously reported, Signe Baldere-Sildedze, guardian of former Olainfarm owner Valerijs Maligins’ youngest daughter Anna Emīlija Maligina, and Maligins’ other daughter Nika Saveļjeva have turned to law enforcement institutions with a request to commence a criminal process in relation to acts of raiderism, abuse of official power and fraud. The application mentions a request to protect Olainfarm’s, its shareholders’ and heirs’ interests because events of the last several days demonstrated that there are clear intentions of certain people to forcefully take over this company. 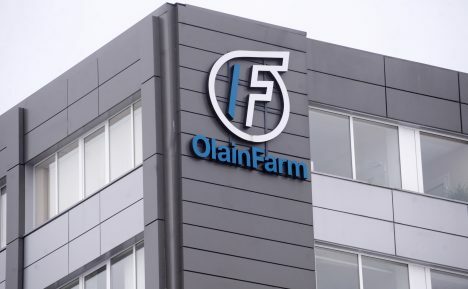 «Through illegal means people with questionable reputation and criminal past have ended up in the management of Olainfarm. They do not hide their intentions to use corrupt means to influence courts and investigative institutions. There are reasons to believe the goal of this take-over is robbing the company of its assets in favour of some third party for a price lower than assets’ market value,» as mentioned in the application submitted by Baldere-Sildedze and Saveļjeva. They also mention that as a result of his hostile take-over, Olainfarm may be robbed of its finances, causing considerable damage to all shareholders and putting at risk the company’s future, something all members of the company’s council and board are personally responsible for. In their application, Baldere-Sildedze and Saveļjeva ask authorities to commence a criminal process against an organized group.